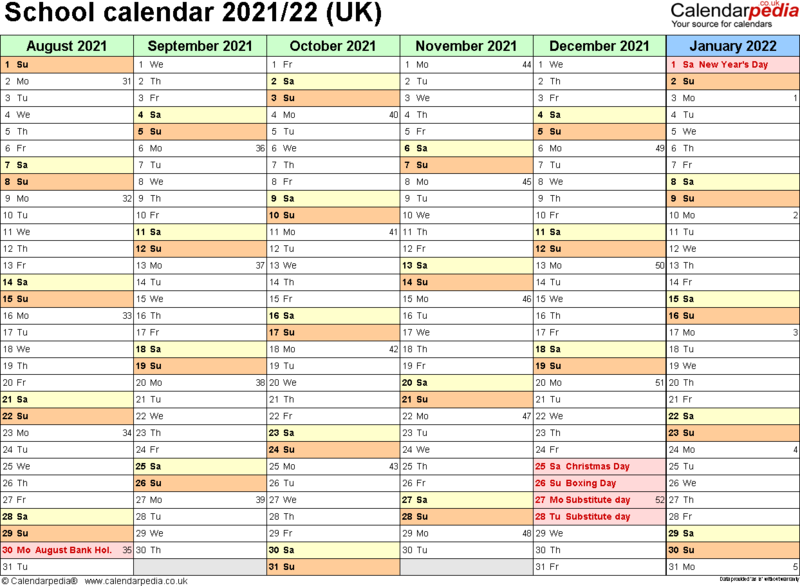 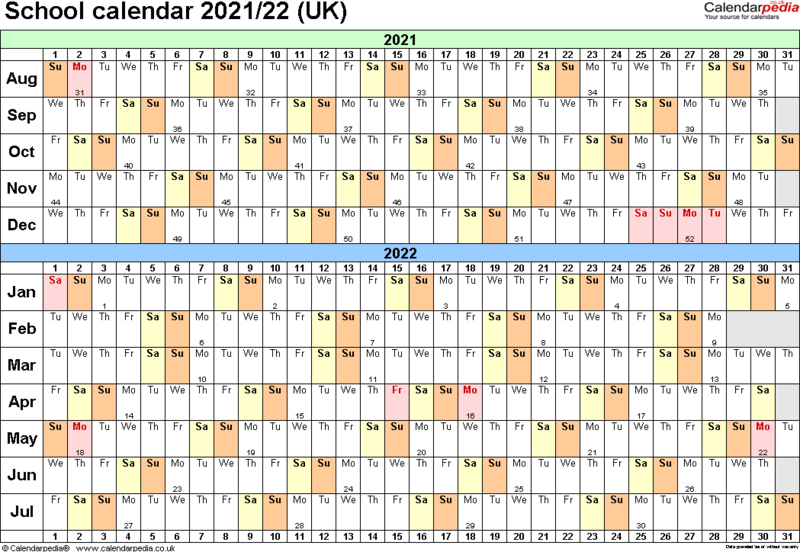 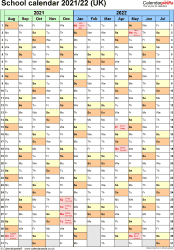 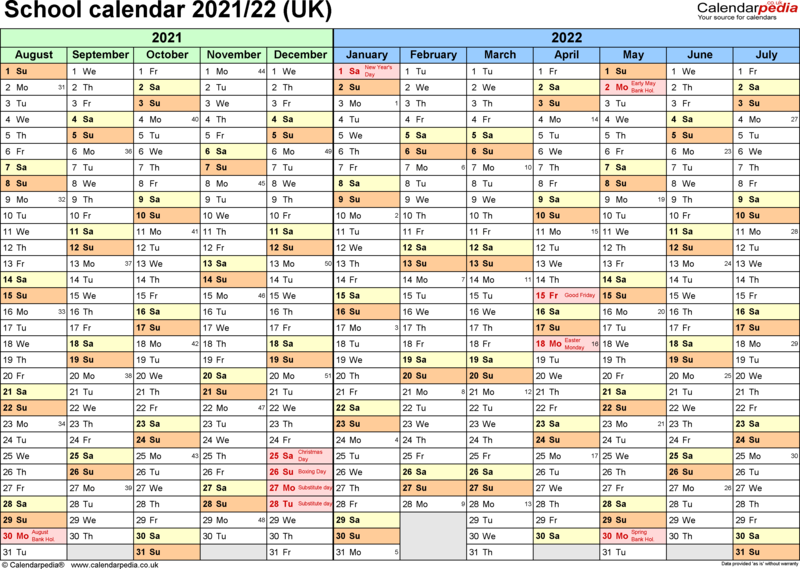 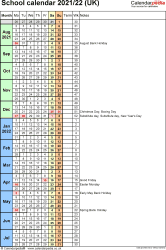 Calendars for the school year 2021/22 for the United Kingdom as templates in PDF format to download and print. 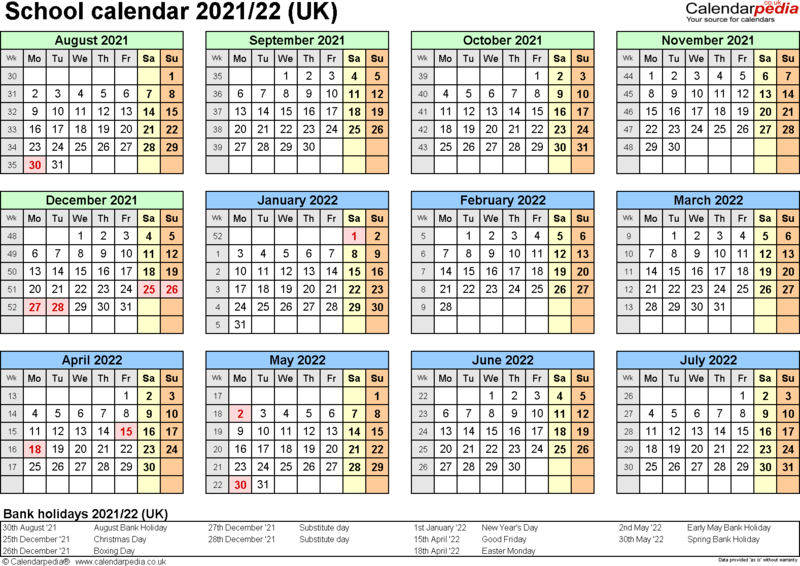 The calendars run from August 1st, 2021 to July 31st, 2022. 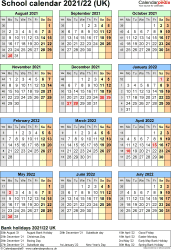 Years are marked in different colours for easy identification.